I previously reported on the indictment of three Swiss Bankers Stephan Fellman, Otto Huppi and Christof Reist -- in 2012. See More Swiss Bank Enablers Indicted (Federal Tax Crimes 12/18/12), here. Until this week, I had heard nothing further and my spreadsheet showed all three as fugitives. This week two of them -- Fellman and Reist -- entered not guilty pleas in USDC SDNY. Nate Raymond, Two Swiss bankers plead not guilty to U.S. offshore tax scheme (Reuters 11/28/16), here. All three of the indicted defendants were associated with Zürcher Kantonalbank ("ZKB"), one of the Swiss banks not eligible for the U.S. DOJ Swiss Bank Program because under criminal investigation when the Program was announced. So far as I am aware, ZKB remains under criminal investigation. According to the Reuters article, "Prosecutors in court said they were in talks with the defendants about resolving the case." I suspect that the outline of an ultimate plea has already been reached with sufficient certainty that Fellman and Reist felt it in their interests to come to the U.S. voluntarily to resolve the matter. In all likelihood, a plea agreement will be reached and the resolution likely is part of or will contribute to the ultimate resolution of ZKB's criminal investigation. The original indictment is here. I had reviewed the indictment in my 2012 blog. I have not reviewed it again because I am awaiting the plea agreement. Unfortunately, in this regard, I understand that the SDNY practice is not to file the plea agreement which, in my mind, is odd because it is flouted in open court when the plea is given and even shown to the judge. There is no indication of any resolution for the third indicted defendant, Otto Hueppi. Hueppi's bio page indicating employment with Swiss American Advisors AG is here, although there is no indication that it is current. Political corruption will never be eliminated in Chicago, but some people will tell you nobody ever did more to slow it down than William Witkowski. Those who are old enough should recognize the names of Witkowski’s investigative targets: Illinois Gov. Otto Kerner, powerhouse Ald. Thomas Keane, Attorney General William Scott, Judge Reginald Holzer and John Cardinal Cody. Others will recognize the lawyers who gained prominence prosecuting them: Jim Thompson, Sam Skinner, Tyrone Fahner, Jeremy Margolis and Scott Turow. But very few are familiar with the former IRS agent whose extraordinary investigative skills made those cases — and in the process made him a legend in certain circles. Witkowski died Nov. 13 from complications of multiple sclerosis. He was 74. “Bill Witkowski was the single best investigator I have ever known,” said veteran investigative reporter Edward Pound, formerly of the Chicago Sun-Times. I’m quoting Pound here because many people regard him as the single best investigator ever to work in my business, and it takes one to know one. But everyone who spoke to me about Witkowski offered the same sort of superlative assessment without reservation. “We wouldn’t have been able to do the prosecutions we did without him,” said Fahner, the prosecutor who convicted Keane and went on to become Illinois Attorney General and later a successful lawyer with Mayer Brown. In the 1970s and 1980s, it was the IRS that did most of the heavy lifting on political corruption in Illinois. And in that circle, Witkowski gained a reputation as the alpha dog. Witkowski wanted to tackle only the most difficult and important investigations, which he would doggedly pursue for years as necessary. Many spoke to me of Witkowski’s integrity. He rejected more lucrative job offers to take his talents to the defense side. Here is another article from his retirement back in 1994: Irs' Public-figure Pursuer Is Hot On Trail Of Retirement (Chicago Tribune 12/6/94), here. I did not know Witkowski, but I know some of the prosecutors cited in the article. I am impressed by what they have to say about him. Taking nothing away from Witkowski, I have known some very impressive CI agents who, I am sure, do not get the thanks they deserve for service to our country. I have written before about federal law enforcement -- specifically IRS -- use of cell site simulators, often called Stingrays (the trademark of one brand of simluator). IRS Use of Cell-Site Simulators (Also called Stingray) to Retrieve Information About and From Cell Phones (Federal Tax Crimes Blog 12/3/15), here. The Seventh Circuit has just issued a decision involving the use of cell site simulators. The technology was not used in a criminal tax investigation, but it could be so used. Of course, in a federal criminal investigation, as noted in the prior blog entry, the DOJ Guidelines for use will be honored and the IRS has agreed to respect those guidelines. But, since court opinions about use of the technology are rare (at least to date), I thought readers might want to know about a recent case with thoughtful majority and dissenting opinions on the use of the technology. In United States v. Patrick, ___ F.3d ___, 2016 U.S. App. LEXIS 21090 (7th Cir. 2016), here, local police located a person for whom an arrest warrant had been issued by using stingray technology. Police had first obtained a warrant to use the technology. It did not specifically advise the court issuing the warrant for the electronic location as to precisely how it would locate the target. Federal charges were then brought based on the fruits of the arrest. The use of the stingray technology to locate the person was discovered only in post appeal briefing. So, the issue presented to the Seventh Circuit was whether the use was inappropriate -- either at all or without a warrant or without a warrant issued for its specific use -- and if not in any respect, could this person obtain relief. Judge Easterbrook wrote the majority opinion, joined by Judge Kanne. Judge Wood wrote the dissenting opinion. I have had occasion over the years to focus on the opinions of Judges Easterbrook and Wood. Both are great judges. I am less familiar with Judge Kanne, but he did not author the opinions. I recommend that readers interested in this issue read both opinions. I won't try to summarize them here, but I will excerpt portions discussing the potential uses of the technology. Judge Easterbrook quotes the DOJ Guidance which I quote and link in my original blog entry. If the Department's description is accurate (a question not explored in this litigation) law-enforcement officials get the same sort of information that a phone company could provide using its own facilities, and they get it in real time rather than waiting for the phone company to turn over data. But instead of collecting information on just one person, as the warrant in this proceeding entitled the police to learn Patrick's location, a cell-site simulator collects the relative location of everyone whose phone is induced to connect to the simulator—though it may discard that information before alerting officials to the presence of the sought-after person (just as the phone company, which has location data about all of its customers, would disclose only one person's location). One potential question posed by use of a cell-site simulator would be whether it is a "search" at all, or instead is covered by Smith v. Maryland, 442 U.S. 735, 99 S. Ct. 2577, 61 L. Ed. 2d 220 (1979), and United States v. Knotts, 460 U.S. 276, 103 S. Ct. 1081, 75 L. Ed. 2d 55 (1983). The former holds that a pen register is not a search because it reveals the making of a call, and the number called, but not the call's communicative content. The latter holds that the use of a beeper is not a search, because it reveals a suspect's location but nothing else. Recent decisions such as United States v. Graham, 824 F.3d 421 (4th Cir. 2016) (en banc), and United States v. Carpenter, 819 F.3d 880 (6th Cir. 2016), apply these principles to hold that tracking a person via data from phone companies is not a search within the scope of the Fourth Amendment. (Graham involved historical cell-tower location information and Carpenter involved "transactional records" from phone companies, so both cases dealt with the sort of information covered by the location warrant in this proceeding.) Police freely use databases, containing information such as the addresses associated with automobile license plates and persons licensed to drive, to track down suspects; they search trash for credit card receipts showing where he made purchases; they consult a suspect's relatives and friends (and sometimes his enemies) to learn his whereabouts; no one thinks that those methods require a search warrant. A contrary line of argument analogizes cell-site simulators to GPS locators, which are treated as searches when police enter private property to install them, see United States v. Jones, 565 U.S. 400, 132 S. Ct. 945, 181 L. Ed. 2d 911 (2012), and may be searches when used for extended durations even if installed with a vehicle owner's consent, id. at 954-64 (concurring opinions of Sotomayor and Alito, JJ.). If a cell-site simulator is like a GPS tracker, and if the approach of the concurring opinions in Jones is adopted, then it would be necessary to know how long the police used a simulator while searching for Patrick and just how accurate is the location information it provides. (Is it information that leaves uncertainty about where in several city blocks a suspect may be, such as the beeper in Knotts, or is it closer to the precise location supplied by a GPS tracker?) Cf. Kyllo v. United States, 533 U.S. 27, 121 S. Ct. 2038, 150 L. Ed. 2d 94 (2001) (thermal image of the inside of a house is a search, given a person's strong privacy interest in his dwelling). The United States has conceded for the purpose of this litigation that use of a cell-site simulator is a search, so we need not tackle these questions. The parties join issue, however, on the significance of the fact that police did not reveal to the state judge who issued the location-tracking warrant that they planned to use a cell-site simulator—indeed, implied that they planned to track him down using his phone company's data. Patrick says that leaving the judge in the dark (perhaps misleading the judge by omitting a potentially material fact) makes the location-tracking warrant invalid. This poses the question whether a judge is entitled to know how a warrant will be executed. In Litwok v. United States, 2016 U.S. Dist. LEXIS 162715 (ED NY 2016), here, the Court denied the convicted defendants petition for relief under 28 USC 2255, here, a form of federal habeas corpus relief after conviction. Litwok had been convicted for tax evasion on retrial after her first convictions for wire fraud and tax evasion were reversed. (I wrote on the first convictions which were reversed Second Circuit Reverses and Vacates Convictions for Wire Fraud and Tax Evasion (Federal Tax Crimes Blog 5/1/12), here.) The conviction on retrial for one count of tax evasion was subsequently affirmed on appeal. United States v. Litwok, 611 F. App'x 12 (2d Cir. 2015), here. I did not write on the later affirmance but will mention some aspects of the affirmance in this blog on the § 2255 proceeding. 1. Litwok had waived any statute of limitations defense by not raising the issue below. 2. "Based on the evidence presented, a jury could have fairly credited Testaverde's testimony and concluded that Litwok willfully committed an affirmative act with the intent to avoid paying her taxes." 3. "Litwok's ineffective assistance claims (failure to raise statute of limitations, failure to investigate perjured testimony and object to prosecutorial misconduct, failure to call a forensic accountant, failure to present exculpatory evidence, and failure to inquire as to whistleblower status of witnesses)" are more properly raised in a § 2255 proceeding. 4. The record did not support Litwok's claim that the accountants testimonies were false. 5. The record did not establish Litwok's claims of prosecutorial misconduct in referring in opening and closing arguments to allegedly perjured testimony of Government witnesses. So, after the conviction on the second trial and while the second appeal was pending, Litwok filed the instance § 2255 proceeding. The trial court finally reached and resolved the § 2255 proceeding by denying the claims and rejecting the request for certificate of appealability. 1. Failure to assert the statute of limitations Defense. Here, petitioner's trial counsel submitted a declaration attesting that a statute of limitations argument "was not a bona fide issue or defense and there was no good faith factual basis for making such a motion." (Decl. of Robert A. Chapnick, ECF No. 16-2 ("Chapnick Decl.") at ¶ 2.) Under the deferential standard outlined above, the court must presume that counsel acted within the "wide range of reasonable professional assistance," Strickland, 466 U.S. at 689, in making that determination, and the applicable precedent indicates that a limitations defense would have been fruitless. "The law is well established that the statute of limitations for tax evasion runs from the day of the last act of evasion[, which] encompasses any act of concealment . . . ." United States v. Mui, 214 F. App'x 40, 47 (2d Cir. 2007) (emphasis in original) (and citation omitted). Petitioner was charged with tax evasion by superseding indictment dated March 19, 2003, and at trial, the government introduced acts of concealment dating to at least mid-1997, which falls within the limitations period. Those incidents include the March 1, 1997 retention of another accounting firm to replace Testaverde, a relationship that lasted for approximately two months before that accountant quit (T. at 248-50); and petitioner's April 15, 1997 submission of an extension request for the filing of her tax return (T. at 193). Had petitioner's trial attorney sought dismissal on limitations grounds, the government would have argued that those events or other post-March 19, 1997 conduct constituted acts of concealment sufficient to toll the commencement of the statutory period. Given that evidence of concealment, any motion to dismiss would have lacked merit, and counsel was not ineffective for failing to raise that argument. Accordingly, this branch of petitioner's ineffective counsel claim fails because she has not shown that her trial attorney was deficient for declining to make a motion that had no merit. In United States v. Penn, 2016 U.S. Dist. LEXIS 160146 (SD AL 2016), here, the defendant had entered a plea agreement to two counts of aggravated identity theft related to tax fraud. (Alabama appears to be a hotbed for this type of identity theft fraud.) The plea agreement stated that the Government would "not bring any additional charges against the defendant related to the facts underlying the Indictment" which was the basis for the plea agreement. Just days before Defendant entered his guilty plea, the government learned that Defendant allegedly tampered with a material witness in the tax fraud case. (Doc. 29, p. 4). On August 25, 2016, Defendant was indicted for witness tampering pursuant to 18 U.S.C. § 1512(c)(2) and 2. (Doc. 1). The issue presented was whether the plea agreement foreclosed the prosecution for witness tampering. The Court held that the witness tampering charge was not within the scope of the bargain the defendant obtained in the plea agreement. The issue of whether the government breached the plea agreement turns on the scope of the "Additional Charges" provision contained within paragraph 21 of the agreement. (Doc. 25, p. 3). Specifically, what is meant by additional charges against Defendant related to the facts underlying the Indictment? Defendant concedes this phrase is unambiguous. (Doc. 25, p. 4). If so, this would mean that the unambiguous meaning of the "related to" language within the plea agreement decides this matter. In an unpublished opinion, the Eleventh Circuit found a materially similar phrase, "related to the conduct giving rise to this plea agreement," to be unambiguous. United States v. Beeks, 167 F. App'x 777, 779 (11th Cir. 2006). In this context, "[t]he term 'related to' is used in its ordinary sense to mean connected to or associated with." Id. The Court finds this conclusion controlling. Therefore, "the plain meaning of the ['Additional Charges'] provision is that the government agrees not to bring any other charges in connection with [Defendant's] participation in the [tax] fraud scheme." Id. The government's position is that tax fraud is not "connected to or associated with" witness tampering. (Doc. 29, p. 2). In support, the government relies on United States v. Grap, 368 F.3d 824 (8th Cir. 2004). The Court finds the government's position persuasive. A subsequent offense does not "relate to" the offense contained within an indictment when (1) there is a temporal distinction between the two offenses and (2) the two offenses constitute qualitatively distinct misconduct. Grap, 368 F.3d at 829-30; see also Beeks, 167 F. App'x at 780 (finding a subsequent offense of identify theft did not relate to an offense of bank fraud contained within a plea agreement when (1) the two offenses were temporally distinct, (2) the two offenses constituted "qualitatively distinct misconduct," and (3) the two offenses involved different individuals). In the particularly analogous case of Grap, the Eighth Circuit held that a subsequent indictment for tampering with a witness in a sexual abuse case fell outside the purview of a plea agreement which prohibited further prosecution based on the information and evidence then available to the government concerning the defendant's involvement with regard to the facts underlying the two counts to which he plead guilty. 368 F.3d at 828-29. The court reasoned that the witness tampering offense was "a third 'factual scenario' occurring several months after the second incident of sexual abuse" that was "temporally distinct from the abuse itself." Id. Therefore, the government did not breach the plea agreement. Id. Here, Defendant's conduct relating to the tax fraud offenses occurred between January 20, 2012 and April 15, 2015. Crim. No. 16-00020, Doc. 164, pp. 12-13. Defendant's conduct relating to the witness tampering offense occurred in August 2016, which is temporally distinct from the tax fraud offenses. Also, Defendant's conduct relating to the tax fraud offenses dealt with the unlawful use of another's social security number to transmit fraudulent tax returns to the Internal Revenue Service. Id. Defendant's conduct relating to the instant indictment concerns obstruction of justice through witness tampering, which is qualitatively distinct from tax fraud. The fact that the government knew of and began investigating Defendant's witness tampering before entry of the plea agreement has no bearing on this determination. See Grap, 368 F.3d at 829-30. Indeed, "to be barred by the plea agreement, the charges must relate to [Defendant]'s conduct in the [tax] fraud scheme, not just to [Defendant] himself." Beeks, 167 F. App'x at 780. The use of bitcoin by criminals has attracted the attention of financial regulators,[legislative bodies, law enforcement, and media. Criminal activities are primarily focused on darknet markets and theft, though officials in countries such as the United States also recognize that bitcoin can provide legitimate financial services. There are obviously some potential U.S. tax administration issues swirling around the use of bitcoin. The first is its secrecy. Untaxed funds can be dispersed -- laundered, if you will -- and then there is the separate subject of taxation of transactions in the bitcoin currency itself. So, the IRS has made an opening move to peek behind the veil of bitcoin. The IRS filed papers seeking court approval to issue a John Doe Summons to the largest U.S. Bitcoin exchange firm. Dion Rabouin, REFILE-Bitcoin exchange processor likely to fight IRS summons -legal analyst (Reuters 11/20/16), here. The JDS seeks "the records of all customers who bought virtual currency from the company from 2013 to 2015, a lawyer familiar with the case said Sunday." The article reports that a lawyer familiar with the process and the expectations of the bitcoin customers believes that the firm will oppose the JDS. UPDATE: ON 11/30/16, the magistrate judge authorized the issuance of the JDS. The DOJ Tax press release is titled "Court Authorizes Service of John Doe Summons Seeking the Identities of U.S. Taxpayers Who Have Used Virtual Currency (11/30/16), here. This announcement has links to the key documents, including the magistrate judge's order. What makes a “John Doe” unique, is that it represents a special "shotgun" form of summons to look for tax evaders that allows the IRS to obtain information about all taxpayers in a group or class of people, even if the agency doesn’t know their identities. The IRS has deployed the tactic in its recent crackdown on undeclared offshore accounts. In other words, the US government's crackdown on local bitcoin users has begun. The likelihood of underreporting combined with the anonymity of virtual currency means that the IRS needs more data to complete its investigation. It also explains why the “John Doe” summons is so broad. Dan Horsky recently made the news, including this blog, for a plea agreement related to very large offshore accounts, including at least one in Switzerland. See Former Business Professor Pleads Guilty to Tax Related Crimes; In Addition, Will Pay $100 Million FBAR Penalty (Federal Tax Crimes Blog 11/4/16; 11/9/16), here. Bloomberg reports that Credit Suisse is being investigated for not earlier coming clean when supposedly getting right with DOJ Tax. See David Voreacos, Credit Suisse Faces Tax Probe Over Undeclared Accounts (Bloomberg 11/22/16), here. When Credit Suisse AG pleaded guilty in 2014 to helping Americans cheat on their taxes, it promised to help the U.S. root out suspicious accounts. Now, U.S. investigators want to know why the Swiss bank neglected to tell them about $200 million in undeclared assets owned by an American client, according to people familiar with the matter. The client, Dan Horsky, a citizen of the U.S., U.K. and Israel, pleaded guilty Nov. 4 to conspiring to defraud the Internal Revenue Service. He has been cooperating for more than a year with investigators examining whether the bank helped clients with ties to Israel evade U.S. taxes, said five people who weren’t authorized to discuss the case publicly. The Horsky accounts were considered "toxic” on the bank’s Israel desk because they were hidden from the IRS using methods like those that led to Credit Suisse’s guilty plea, the people said. The U.S. learned about Horsky’s accounts independent of Credit Suisse and after the bank had entered its guilty plea, they said. Credit Suisse could face a new civil or criminal case based on the Horsky probe, the people said. “If they didn’t provide information about this account when they had it in their files, there was either gross negligence or more likely some kind of conspiracy at the bank to avoid disclosing this account,” said Larry Campagna, a Houston tax attorney, when told by Bloomberg News about the new Credit Suisse inquiry. His holdings were among undisclosed accounts serviced by Credit Suisse bankers in Zurich who helped people with Israeli citizenship, according to three people familiar with the matter. Horsky’s accounts were considered “toxic” on Credit Suisse’s Israel desk as Swiss banks came under increasing pressure after 2009 to jettison undeclared U.S. assets, the people said. That year, UBS Group AG, Switzerland’s largest bank, admitted that it helped Americans evade taxes. 1. The article does not explain all of the circumstances for the failure to disclose Horsky's account(s). Hence, I cannot conclude whether it is a simple mistake, a major breakdown in internal communications or something worse. In any events, it is likely to be a costly mistake for CS. 2. The article rehashes some of the earlier information about the plea agreement and the circumstances involved. I did not excerpt that above, because readers of this blog will already know most of it. Title 18 false claims and false claims conspiracy charges are among the non-Title 26 statutes traditionally used in tax prosecutions that involve fraudulent refund schemes. Tax charges under these statutes often are brought against a defendant who filed multiple fictitious income tax returns claiming refunds of income tax in the same year, particularly when the defendant personally received and retained some or all of the proceeds. Many false refund claim cases could also be charged using 26 U.S.C. § 7206(1) or (2) (false returns), or 18 U.S.C. § 1001 (false statements), § 1341 (mail fraud) or § 1343 (wire fraud). Section 287 is preferred to Section 7206 when the defendant pocketed the refund proceeds, because restitution for Title 18 offenses is more readily available than for Title 26 offenses. See 18 U.S.C. § 3663(a)(1). Also see Chapter 44, infra, for a full discussion of restitution for criminal tax offenses. The parties agree that the Government must prove that "(1) [Defendant] presented [a] claim to the IRS; (2) th[at] claim w[as] false, fictitious, or fraudulent, and (3) [Defendant] knew the claim w[as] false, fictitious, or fraudulent." United States v. Clarke, 801 F.3d 824, 827 (7th Cir. 2015). Defendant posits, however, that a fourth element of "intent to defraud" is required. [44, at 3.] For support, she cites the Seventh Circuit's Pattern Criminal Jury Instructions for Section 287, which list the first three elements above without brackets but includes a fourth element—"The defendant acted with intent to defraud"—in brackets. See Pattern Criminal Jury Instructions of the Seventh Circuit for 18 U.S.C. § 287 at 161 (2012). The Committee Comment states that "[t]he fourth element (intent to defraud) is bracketed because it is unsettled in this Circuit whether proof of intent to defraud is required under section 287." Id. The Comment describes four Seventh Circuit cases that bear on the "intent to defraud" issue. It first identifies two 1991 cases in which the Seventh Circuit either "assumed" intent to defraud was an element or found that jury instructions including with an "intent to defraud" element "accurately presented the jury with the fundamental questions bearing upon the defendant's guilt or innocence." Id. at 161-62 (citing United States v. Nazon, 940 F.2d 255 (7th Cir. 1991), and United States v. Haddon, 927 F.2d 942 (7th Cir. 1991)). The Comment next describes United States v. Catton, which was decided five years after Nazon and Haddon and held that "[i]t is implicit in the filing of a knowingly false claim that the claimant intends to defraud the government, and hence unnecessary to charge willfulness separately." 89 F.3d 387, 392 (7th Cir. 1996). According to the Comment, Catton "equated" willfulness and intent to defraud. See 7th Cir. Pattern Instruction for 18 U.S.C. § 287, Committee Comment at 162 (citing Catton, 89 F.3d at 392 ("the making of a knowingly false claim might seem inherently willful, inherently intended to defraud, making an instruction on willfulness otiose") [JAT to readers, see bottom of page for definition of otiose]). Finally, the Comment cites a 1997 unpublished Seventh Circuit opinion holding that "[p]roof of specific intent to defraud the government is not required to convict under § 287"—a conclusion the court characterized as merely restating "our holding in [Catton]." Id. (quoting United States v. Strong, 114 F.3d 1192 [published in full-text format at 1997 U.S. App. LEXIS 11956] at *2 (7th Cir. 1997)). In United States v. Williams, 2016 U.S. App. LEXIS 20215 (11th Cir. 2016) (unpublished), here. the defendant was convicted for "conspiracy to defraud the United States, wire fraud, aggravated identity theft, and wrongful disclosure of identifiable health information"
Briefly stated, Williams's convictions stem from her involvement in a conspiracy to file fraudulent tax returns. Through her employment as a receptionist at a doctor's office, Williams had regular access to patients' personal identifiable information. In furtherance of the conspiracy, Williams stole patient information to be used in [*2] preparing fraudulent income tax returns and directed the tax refund checks to be mailed to Williams's current and former addresses. On appeal, Williams first contends that the district court violated her Sixth Amendment confrontation rights by limiting her ability to cross-examine cooperating co-conspirators -- those who had agreed to testify for the government - - about the specific sentences they avoided or hoped to avoid by testifying against Williams. Because Williams raised no objection to the district court's ruling at trial and, instead, raises this argument for the first time on appeal, we review only for plain error. See United States v. Sosa, 777 F.3d 1279, 1294 (11th Cir. 2015). To demonstrate plain error, Williams "must show that there is (1) error, (2) that is plain, (3) that affects substantial rights, and (4) that seriously affects the fairness, integrity, or public reputation of judicial proceedings." See id. (quotation omitted). A criminal defendant has a right, under the Sixth Amendment, to confront witnesses against him. U.S. Const. amend. VI. "The main and essential purpose of confrontation is to secure for the defendant the opportunity of cross-examination." United States v. Baptista-Rodriguez, 17 F.3d 1354, 1366 (11th Cir. 1994) (alteration omitted). Still, a "defendant's right to cross-examine witnesses is not without limitation." Id. "Trial judges retain wide latitude to impose reasonable limits on cross-examination based on concerns about, among other things, confusion of the issues or interrogation that is repetitive or only marginally relevant." Id. at 1370-71. The district court committed no plain error in limiting Williams's cross-examination of the government's cooperating witnesses. Williams concedes on appeal that the circuit courts are split on this issue. n1 Given the disagreement among the circuits on this issue and the absence of controlling precedent from the Supreme Court or from this Court, Williams can demonstrate no plain error. See United States v. Chau, 426 F.3d 1318, 1322 (11th Cir. 2005) (because an error is "plain" only if the error is "clear under current law," it follows that "there can be no plain error where there is no precedent from the Supreme Court or this Court directly resolving it."). n1 The First, Second, Fourth, Seventh, and Eighth Circuits have held that a district court's limitation on a defendant's ability to cross-examine cooperating co-conspirators constitutes no violation of the Confrontation Clause. Meanwhile, the Third, Fifth, and Ninth Circuits have made the opposite conclusion. For background, see United States v. Dimora, 843 F. Supp. 2d 799, 842-44 (N.D. Ohio 2012) (collecting cases). In United States v. Boisseau, ___ F.3d ___, 2016 U.S. App. LEXIS 20535 (10th Cir. 2016), here, Boisseau was a lawyer who reported but did not pay a large amount of tax over a number of years. He then set about to avoid having to pay the unpaid tax or at least delay having to pay the unpaid tax. He was prosecuted for tax evasion. The district court determined that Mr. Boisseau willfully evaded paying his taxes by (1) placing his law practice in the hands of a nominee owner to prevent the Internal Revenue Service (IRS) from seizing his assets; (2) causing his law firm to pay his personal expenses directly given an impending IRS levy, rather than receiving wages; and (3) telling a government revenue officer that he was receiving no compensation from his firm when in fact the firm was paying his personal expenses. Boisseau's "affirmative acts" of tax evasion were: (1) he had his son's father-in-law appear as the nominal owner of the LLC through which he practiced law (the opinion does not state whether the father-in-law was a lawyer, but does state that he "had no daily involvement with the firm, performed no work for it, and received no salary. "); (2) he altered his compensation from the firm from a salary to paying his personal expenses, so that the IRS would be less able to levy; and (3) he represented -- misrepresented -- to the collection officer that his expenses were being paid by children and family members rather than by the firm (he sought to avoid the inference from this fact by arguing that his lawyer had corrected the representation and that he reported by payments as Schedule C income). The Court of Appeals held that the evidence was sufficient to permit the trial judge to find that these were affirmative acts of evasion, one of the three element of tax evasion. And, basically on the same fact pattern, the Court of Appeals held that the evidence was sufficient to permit the trial judge to find willfulness, one of the three elements of tax evasion. Mr. Boisseau also argues that his conviction was the product of two legal errors. He argues that proof of an affirmative act of tax evasion cannot be established without evidence that the act was designed to conceal or mislead, and that proof satisfying the affirmative act element is not sufficient, in and of itself, to prove the willfulness element. Regarding his first challenge, Mr. Boisseau relies upon United States v. Meek, in which we stated, "An affirmative act requires more than the passive failure to file a tax return; rather, it requires a positive act of commission designed to mislead or conceal." 998 F.2d 776, 779 (10th Cir. 1993). In light of this precedent, Mr. Boisseau contends that the district court erred in stating that the government did not need to prove that he misled or concealed assets from the IRS. See Boisseau, 116 F. Supp. 3d at 1257. The government argues, inter alia, that the district court properly recognized the Supreme Court's recent decision in Kawashima v. Holder demonstrates that "the elements of tax evasion pursuant to § 7201 do not necessarily involve fraud or deceit" and that "it is possible to willfully evade or defeat payment of a tax under § 7201 without making any misrepresentation." 565 U.S. 478, 132 S. Ct. 1166, 1175, 182 L. Ed. 2d 1 (2012). Mr. Boisseau asserts that this language in Kawashima is dicta and does not overturn this court's decision in Meek requiring a positive act designed to mislead or conceal. We need not resolve this issue, however, because Mr. Boisseau lacks the factual predicate to make it given the district court's evaluation of the evidence. The district court addressed Mr. Boisseau's contention that the affirmative acts must mislead or conceal, and clearly stated that "[Mr.] Boisseau did mislead or conceal." Boisseau, 116 F. Supp. 3d at 1257. It found that Mr. Boisseau's conduct in using a nominee, altering his compensation, and misrepresenting his compensation to the IRS was not only intentional but also inherently misleading. Id. In light of its findings, there was simply no need to expressly state that Mr. Boisseau's conduct was "designed to conceal or mislead." As to Mr. Boisseau's second argument, he asserts that because the willfulness and affirmative act elements are distinct, the district court erred in relying on the Second Circuit's decision in United States v. Romano to conclude "if the affirmative act element is satisfied, there is no question that willfulness is also present." Boisseau, 116 F. Supp. 3d at 1256 (quoting Romano, 938 F.2d at 1572). The government responds that this argument was not preserved, and that the district court clearly stated that the elements were separate, defined willfulness in accordance with Supreme Court precedent to mean "the voluntary, intentional violation of a known legal duty," Cheek, 498 U.S. at 201, and found that each component of that definition was satisfied here. Regardless of whether the error was preserved, and having considered each of Mr. Boisseau's contentions, we conclude the government has the better argument. The district court's opinion, taken as a whole, demonstrates that the court treated the affirmative act element and the willfulness element as distinct. It defined the elements separately, and separately discussed which facts in the record proved each element beyond a reasonable doubt. Thus, the error, if any there be, was harmless because the district court simply did not conflate the affirmative act and willfulness elements of § 7201. I have written about Judge Jed S. Rakoff, a district judge in SDNY (Wikipedia here). Judge Rakoff is again in the news in this article: Peter J. Henning, Determining a Punishment that Fits the Crime (NYT Dealbook 11/7/16), here. The general context is how federal judges calibrate a sentence under the advisory Sentencing Guidelines and their Booker discretion to vary from the Guidelines calculations. One of the major points is the positive sentencing benefit that be gained by sincere shows of remorse and contrition. The cases discussed are prominent white collar crime cases, but not involving taxes. Still tax crimes are a subset of white collar crimes, so the article should be of interest to readers of this blog. What judges really want to hear is an expression of contrition, word that the defendant is sorry for any harm caused while promising never to engage in such misconduct again. For those who plead guilty, like Mr. Caspersen and Mr. Thompson, the acknowledgment of guilt puts them in a much better position with the court because they can avoid the perception of trying to get away with something or planning the next crime. Bridget Anne Kelly and Bill Baroni, former aides to Governor Chris Christie of New Jersey who were convicted last Friday for their role in shutting access lanes to the George Washington Bridge as political payback for a New Jersey mayor who did not endorse the governor’s re-election effort in 2013, are in a difficult position when their sentencing occurs next year. By testifying that they did nothing wrong and continuing to proclaim their innocence, they are now locked into a position that prevents them from acknowledging that their conduct was illegal and asking for leniency. Under the sentencing guidelines, the two defendants could easily face a recommended prison term of more than four years for the corruption charges. Prosecutors may ask the court to find they committed perjury by testifying that they were unaware of any scheme to engage in misconduct on behalf of the governor, which could push the potential punishment even higher. They have suffered the same loss of their career and social status as Mr. Caspersen and Mr. Thompson, but by going to trial, any claim they might make that they have “suffered enough already” is likely to fall on deaf ears. Sentencing is certainly an art, not a science, despite the attempt at precision in the loss calculations in the sentencing guidelines. Judges are left with making a decision based on what they see in the defendant in front of them, in the hope that the punishment will be perceived as fair. Like it or not, that is the system we have, even if it leaves the public unsatisfied with a penalty that can be considered too lenient — or too harsh. Obviously, the Guidelines offer a 2 or, usually, 3 level reduction for acceptance of responsibility. But, once the Guidelines calculations are made, the judge can determine the sentence based on sentencing factors not adequately addressed in the advisory Guidelines. This is called Booker discretion, named for the case, United States v. Booker, 543 U. S. 220 (2005), which untethered sentencing judges from the principal constraints of the Guidelines calculations. So, not only will a guilty plea get the Guidelines calculation starting point reduced, the contrition and remorse evidenced with the guilty plea can lead to a further Booker variance downward. According to the superseding indictment, Maria Larkin aka Maria Bella-Larkin, owned and operated Five Star Home Health Care Inc. (FSHHC) from 1996 through 2009 and was responsible for collecting, accounting for, and paying over income, social security, and Medicare tax withheld from employees’ wages. The tax withheld is referred to as “trust fund tax” because the employer holds those funds in trust until the amounts are paid over to the Internal Revenue Service (IRS) on behalf of the employee. If a responsible person willfully fails to pay over trust fund taxes, the IRS may impose a penalty equal to the amount of the trust fund taxes on the responsible person. This penalty is known as the trust fund recovery penalty. The superseding indictment alleges that from 2004 through 2009, FSHHC failed to pay over the tax withheld from its employees’ wages and, as a result, the IRS assessed trust fund recovery penalties against Larkin equal to the amount withheld and not paid over. According to the superseding indictment, Larkin willfully attempted to evade and defeat the payment of the trust fund recovery penalties assessed against her by concealing and attempting to conceal from the IRS her access to personal funds and assets. Specifically, the superseding indictment alleges that Larkin purchased a home in the name of a nominee, engaged in currency transactions with financial institutions in amounts less than $10,000 to prevent the filing of currency transaction reports, changed the name of her business and placed the business in the name of a nominee, and provided false information to the IRS regarding her ability to pay the trust fund recovery penalties. This is a fairly routine prosecution as described in the press release and superseding indictment. Trust fund prosecutions have been increasing for a number of years now. See DOJ Tax Promotes Employment Tax Criminal Prosecutions (3/10/16), here (noting DOJ Tax's request, adopted in the 2016 Guidelines under § 2T1.6, to drop the description in the Sentencing Guidelines that § 7202 is "infrequently prosecuted"); see also Michael Chittenden and Yongo Ding, DOJ Repeatedly Signals Intent to Ramp Up Criminal Prosecutions for Employment Tax Failures (Miller & Chevalier Blog 4/16/16), here; and an ABA slide presentation titled Civil and Criminal Employment Tax Enforcement Efforts - Employers Beware (5/18/16), here, presented by Josh Ungerman, Leigh Kessler and Dennis L. Perez. I have written before about the burden of proof the Government must meet in order to sustain an FBAR willful penalty. I offer at the end of this blog some of the key blog entries on that issue. Briefly, the issue is whether the Government must prove willfulness by a preponderance of the evidence or by clear and convincing evidence. Although there is no universally agreed definition of either standard, many conceptualize the standards as follows: (i) preponderance of the evidence on a fact issue is the evidence which, in the trier of fact's mind, indicates that the fact issue is more likely than not, sometimes stated as 50+% likely; and (ii) clear and convincing is higher than more preponderance but less than the reasonable doubt standard applicable in criminal cases. Now, readers will note that I did not put a percentage construct on the clear and convincing standard because that certainly is not agreed upon, so perhaps the best statement is that clear and convincing is higher than preponderance and lower than reasonable doubt. Of course, we don't know what percentage to assign to reasonable doubt, so that won't help up figure out a percentage for clear and convincing. I include at the end of this blog some materials on this issue as presented in my Federal Tax Procedure book on the civil fraud penalty. Suffice it to say now that there are cases in which the Government, bearing the civil burden of proof, might be able to prove a fact by a preponderance of the evidence, but could not prove the fact by clear and convincing evidence. Those who have tried cases involving the civil fraud penalty, where the Government must prove fraud by clear and convincing evidence, know that the clear and convincing burden is substantial indeed, compared to the preponderance standard. In a case now pending before the Court of Appeals for the Fifth Circuit, Guber v. IRS (No. 16-40948), the plaintiff-appellant, Gubser, had filed a complaint in district court asking for a declaratory judgment that the proper standard was the clear and convincing standard. The FBAR penalty is not a tax penalty and thus not subject to the prohibitions on injunctions and declaratory judgments for tax matters. But declaratory judgments do have some minimum justificability requirements in order to invoke the jurisdiction and action of the federal courts. Therein lay the problem. Gubser had not yet suffered the practical injury that might come from the imposition of the lower preponderance of the evidence standard because the FBAR penalty had not been assessed against. All Gubser apparently had was some indication from the Appeals Officer that, if the standard were preponderance, the Appeals Officer would sustain the examining officer's assertion of the FBAR willful penalty, but that if the standard were clear and convincing the Appeals Officer would not sustain the penalty. Gubser was claiming that the mere uncertainty as to the proper standard impacted his rights to fair processing of the Appeals hearing. I offer here the brief in the Fifth Circuit by Gubser, by the Government and by Amicus representing other persons potentially impacted. After offering links to those documents, I offer the summary of the argument in the Gubser's opening brief, in the Government's opening brief and in the Amicus brief. Amicus Brief (supporting Gubser's position), here. Bernhard Gubser has established standing to sue for a declaration of the proper standard of proving a willful FBAR penalty. He pleaded sufficient facts to show (1) imminent harm (2) caused by the FBAR penalty proposed by the IRS (3) that the district court can redress with a declaratory judgment. Before filing suit, Gubser tried to settle the controversy with an IRS Appeals officer. ROA.17, 152-53, 156-57. The Appeals officer identified the standard of proof as dispositive and asked Gubser to seek guidance on this uncertain area. ROA.17, 109, 114-115. So Gubser sued for a declaration that the IRS must prove that he willfully violated the FBAR filing requirement by clear-and-convincing evidence (and not merely by a preponderance of the evidence). The district court erroneously dismissed his suit for lack of standing, solely emphasizing the failure to establish redressability. ROA.85-86. The district court committed legal error when it mistakenly determined that declaratory judgment would be proper only if its order would legally bind the Appeals officer or would prevent the IRS from assessing the penalty. ROA.85-86. This Court reviews that legal error de novo. Time Warner Cable, Inc. v. Hudson, 667 F.3d 630, 635 (5th Cir. 2012) (“We review questions of standing de novo.”). 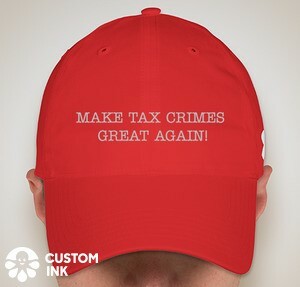 I generally focus on U.S. tax crimes issues and avoid, generally, posting on larger topics that may somehow relate to U.S. tax crimes until they are addressed in the U.S. criminal tax system. However, I saw this report about and decided that I would post it because it does relate generally to the Panama Papers episode which exploded earlier this year to which I devoted several blogs. In addition, the posting refers to a report authored by two experts, one of whom is quite familiar to me, Joseph Stiglitz, a Nobel prize winner in Economic Sciences. Stiglitz' bio on Wikipedia is here. Stiglitz is one of the prominent U.S. economists trying to get the U.S. to address inequality and, of course, offshore tax havens generally contribute to inequality. So, I offer this because some readers may be interested. Michael Hudson, Experts Who Quit Panama Panel Produce Their Own Report (ICIJ 11/15/16), here. Ending the kinds of offshore abuses revealed by the Panama Papers scandal requires a global solution led by the United States and Europe, a report released today by Nobel Prize-winning economist Joseph Stiglitz and Swiss anti-corruption expert Mark Pieth says. The U.S. and EU have shown they have the tools to stem the flow of dirty money in the fight against terrorism, but have failed to use these same anti-money-laundering tools as forcefully in the fight against financial corruption and tax dodging, the report says. The new report is an outgrowth of the pair’s initial work on a study committee appointed by the Panamanian government in response to a series of news stories by ICIJ and more than 100 media partners. The media partnership’s Panama Papers investigation revealed the inner workings of Mossack Fonseca, a law firm headquartered in Panama that has helped create offshore structures used by world leaders, wealthy individuals, drug lords and financial fraudsters. Stiglitz and Pieth resigned from the Panamanian government committee in August, saying that government officials had refused to assure the panel it had full independence to investigate and make its findings public. The government blamed their resignations over “internal differences” on the committee. There is a growing global consensus that the secrecy-havens—jurisdictions which undermine global standards for corporate and financial transparency—pose a global problem: they facilitate both money laundering and tax avoidance and evasion, contributing to crime and unacceptably high levels of global wealth inequality. As economic leaders, the United States and Europe have an obligation to force financial centers to comply with global transparency standards. That they have the instruments to do so has been forcefully shown in the fight against terrorism. That they do not do so in the fight against corruption and tax avoidance and evasion is testimony to the power of the interests of those who benefit from secrecy. In a globalized world, if there is any pocket of secrecy, funds will flow through that pocket. That is why the system of transparency has to be global. The US and EU are key in tipping the balance toward transparency, but this will only be the starting point: each country must play its role as a global citizen in order to shut down the shadow economy—and it is especially important that there emerge from the current secrecy havens some leaders to demonstrate that there are alternative models for growth and development. Countries should position themselves proactively—not just complying with current minimal standards, but placing their economic development model at the cutting edge of the evolution of those standards. Each country must seriously consider whether it wants to be engaged in a never-ending struggle to catch up to the evolving international standards, or serve as a model, setting standards that others will eventually be forced to emulate. I picked up these articles some time ago and was waiting to post on it pending obtaining the decision discussed. Davide Anghileri, Swiss bank can’t reveal client’s account administrator or referring law firm to US, court rules (MNE Tax 10/6/16), here; and Vidya Kauri, Swiss High Court Says Bank Can't Share Atty Info With US (Law 360 10/6/16), here. the court said that the handover of such data could be justified under certain circumstances, such as disputes with the U.S. that may erode the reputation of Switzerland’s financial sector and that of Switzerland as a reliable negotiating partner. If anyone has the decision, preferably in English, or other information about it, I would appreciate them posting as comments (with a link) or emailing me at jack@tjtaxlaw.com. Tax Division prosecutors authorized, investigated and prosecuted traditional tax crimes, such as tax evasion, false returns, obstructing and impeding the due administration of the internal revenue laws, employment tax violations and the concealment of assets and income offshore, as well as aggravated identity theft and fraudulent return preparation. Since 2014, our division prosecutors obtained more than 200 indictments, negotiated more than 100 guilty pleas and achieved a conviction rate in more than 30 trials of over 95 percent. This does not include the additional criminal tax prosecutions authorized by the Tax Division and assigned to the U.S. Attorneys’ Offices. We are also prioritizing criminal investigations and prosecutions of willful employment tax violations. For example, in September, the former owner of a trucking company in Kansas was sentenced to three years in prison for evading the payment of more than $900,000 in employment taxes and for filing a false statement with the IRS concealing his ownership interest in assets when the IRS began collection efforts. On the offshore front, we completed 78 non-prosecution agreements with 80 Swiss banks that admitted assisting in the concealment of U.S. related accounts and facilitating the evasion of U.S. tax, and that completed the requirements of Category 2 of the Swiss Bank Program. We collected more than $1.3 billion in penalties and received substantial, detailed information regarding U.S. related accounts, U.S. accountholders and foreign and domestic individuals and entities that assisted the U.S. accountholders to evade U.S. tax and reporting requirements. In addition, since 2008, the department, working with our colleagues in IRS Criminal Investigation (IRS-CI), charged more than 160 U.S. accountholders with tax evasion and willful failure to report foreign accounts and more than 50 individuals who assisted in this criminal conduct. We also reached resolutions with nine foreign financial institutions outside of the Swiss Bank Program and continue to pursue investigations of entities located within and outside Switzerland. Our criminal offshore enforcement efforts have encouraged participation in the IRS offshore voluntary disclosure programs, through which more than 55,000 taxpayers have come into compliance and paid nearly $10 billion in tax, interest and penalties since 2009. In addition, filing of Reports of Foreign Bank and Financial Accounts (FBARs) has increased from 332,000 reports for calendar year 2007, to over a million reports for 2015. Our civil trial attorneys also furthered our offshore tax enforcement efforts, seeking the issuance of John Doe summonses to identify U.S. taxpayers whose identities are unknown and who are engaged in violations of the internal revenue laws and initiating summons enforcement proceedings to assist the IRS in conducting its examinations and determining the accurate tax due. The information we seek is often located in the United States; however, as we recently demonstrated in a district court in Miami, we will pursue enforcement of a Bank of Nova Scotia summons when a domestic entity has dominion or control over records located outside the United States, even where the domestic entity asserts that production may be a violation of foreign law, if our interest in combatting tax evasion substantially outweighs the interest in foreign jurisdictions in allowing banks to preserve the privacy of their customers. Our civil trial attorneys also are actively engaged in suits involving penalties assessed for failing to file FBARs. These suits include affirmative litigation to collect unpaid penalties, and defensive litigation raising a variety of issues. We have approximately three dozen cases involving FBAR issues pending, the vast majority of which include a willfulness penalty for at least one of the years at issue. These suits have raised issues related to the computation of the penalty, burden of proof, service of process abroad, definition of a foreign account, corresponding assessments on spouses, venue, jurisdiction, and challenges under the Administrative Procedures Act. * * * * Let me take a moment to share my forecast of what I think you will see in 2017. First, the Tax Division is now well into the legacy phase of the Swiss Bank Program, reviewing the substantial data provided by the banks and obtained from other sources. We are working closely with our colleagues in the IRS and using information gathered in pending investigations and to identify new individuals, entities and areas of interest for both civil tax enforcement and criminal tax investigations and prosecutions. We are following the money outside Switzerland and into jurisdictions around the world and investigating activities by asset management companies, corporate service providers, financial advisers, insurance companies and other financial entities. As a result of our enforcement efforts, entities are contacting us to acknowledge their role in facilitating U.S. tax evasion, disclose the individuals engaged in this conduct, and cooperate with the department in an effort to address and resolve criminal exposure. In addition, the IRS recently announced that 48,000 taxpayers have made use of separate streamlined procedures to correct prior non-willful omissions and paid approximately $450 million in taxes, interest and penalties. While we certainly encourage taxpayers to come into compliance, Tax Division prosecutors are reviewing certain streamlined filings and will investigate and prosecute taxpayers who willfully submit false statements in an effort to obstruct and impede the IRS and evade the payment of tax due. When requested by the IRS, the Tax Division will ask courts to authorize John Doe summonses, pursue summons enforcement proceedings, and when appropriate, will seek to enforce Bank of Nova Scotia summonses and issue and enforce Bank of Nova Scotia subpoenas to obtain information located outside the United States. In conducting civil and criminal investigations, the Tax Division will also continue to seek and review information pursuant to our bilateral and multilateral international treaties and agreements, respond to requests from treaty partners, and work closely with foreign counterparts to promote financial transparency and combat global tax evasion. In addition, the Tax Division is working closely with IRS-CI to prioritize traditional legal source tax prosecutions. Our voluntary tax system only works when the honest taxpayer has faith in the process and believes that those who break the law will be held accountable. When a local business owner, the neighborhood doctor or dentist, the mechanic down the street, or an investment banker is prosecuted for skimming from their business, using nominee accounts and shell companies to conceal assets and evade tax, filing false returns, conspiring to defraud the IRS, or obstructing the due administration of the internal revenue laws, there is an immediate and substantial impact among the defendant’s family, friends and neighbors, in the local and regional community and throughout the applicable industry. These high-impact cases send a clear message that no one is above the law and that those who engage in this criminal conduct will pay a heavy price, including incarceration, fines, restitution and collateral consequences. The defendant a common shareholder in several corporations, some of which were losing money. So he began transferring money from one corporation to others. In the corporation with the money to spread around, he had at least one minority shareholder, a gentleman named Franks. Franks sued the defendant in state court. The state court issued a preliminary injunction to mitigate the losses in the interim. The preliminary injunction required the defendant to continue serving the corporation from which money was transferred but enjoined him from receiving pay from that corporation. On appeal of the preliminary injunction before he had done the service required, "The Ohio Court of Appeals held that requiring Rankin to serve as president without pay violated the Thirteenth Amendment's prohibition on involuntary servitude. Franks v. Rankin, Nos. 11AP-934, 11AP-962, 2012-Ohio-1920, 2012 WL 1531031, at *14-15 (Ohio Ct. App. May 1, 2012)." Rankin was thereafter indicted for failure to withhold and pay over (§ 7202), tax perjury (§ 7206(1)) and tax obstruction (§ 7212(a)). Rankin moved to dismiss, arguing that the preliminary injunction requiring unpaid service (which he never served) was punishment making his prosecution for tax crimes unconstitutional double jeopardy. There are several obvious problems with that argument. The district court rejected it. Rankin appealed. Rankin argues that this federal tax prosecution violates the Double Jeopardy Clause because it involves the "same offense" as Franks, a state civil case; and, in Rankin's view, Franks already punished him criminally for that offense. The Double Jeopardy Clause prohibits the government from putting a person "in jeopardy of life or limb" twice for the "same offense." U.S. Const. amend. V. Offenses are not the same when, looking at their statutory elements, they each "require proof of a fact which the other does not." Jackson v. Smith, 745 F.3d 206, 211 (6th Cir. 2014) (quoting Blockburger v. United States, 284 U.S. 299, 304, 52 S. Ct. 180, 76 L. Ed. 306 (1932)); United States v. Evans, 951 F.2d 729, 732-33 (6th Cir. 1991). Although here we could affirm the district court on multiple grounds, the simplest is that the federal tax charges in this prosecution are not the "same" as the state fiduciary-duty claims in Franks. In Ohio, a fiduciary-duty claim has three basic elements: the existence of a fiduciary duty, the breach of that duty, and harm to the plaintiff. Wells Fargo Bank, N.A. v. Sessley, 188 Ohio App. 3d 213, 2010 Ohio 2902, 935 N.E.2d 70, 83 (Ohio Ct. App. 2010). A minority shareholder in a closely held corporation, like the plaintiff in Franks, must show specifically that a controlling shareholder misused corporate power for personal benefit at the minority's expense. See Crosby v. Beam, 47 Ohio St. 3d 105, 548 N.E.2d 217, 220-21 (Ohio 1989). The charges in this prosecution are completely different. The grand jury charged Rankin with tax crimes under three provisions of the Internal Revenue Code, and the government must prove each beyond a reasonable doubt. First, on the charge of failing to withhold taxes, the government must prove that Rankin willfully failed "to collect or truthfully account for and pay over" taxes imposed by the Internal Revenue Code. 26 U.S.C. § 7202. Second, on the charge of falsifying tax returns, the government must prove that Rankin willfully made false and material statements on federal income tax returns that he signed under penalty of perjury. 26 U.S.C. § 7206(1). Third, on the charge of obstructing the IRS, the government must prove that Rankin intimidated or impeded the IRS "corruptly or by force or threats of force." 26 U.S.C. § 7212(a). The plaintiff in Franks did not need to prove any of these elements. And the government here does not need to prove that Rankin was a majority shareholder of a closely held corporation or that he violated his fiduciary duties. The "offenses" in Franks and this prosecution are not the "same" because each has elements the other does not. See Jackson, 745 F.3d at 211. Thus, this prosecution does not violate the Double Jeopardy Clause. The district court properly denied Rankin's motion to dismiss. Labels: Double Jeopardy, Dual Soverignty, U.S. Const. 13th Am. As I have frequently noted, the tax loss is the principal driver in the Sentencing Guidelines for tax crimes. Very generally the sentencing factors, including the tax loss, must be proved by a preponderance of the evidence. And, for the key tax loss finding, the sentencing court must only make a "reasonable estimate." USSG § 2T1.1 n.1, here. In cases where the defendant's crime was essentially "one-offs" or limited in scope -- the taxpayer and a related party, perhaps for a number of years -- estimating the tax loss is routine. It is the same type of drill the Government would undertake in a civil tax audit to determine the tax liability and impose it on the parties involved. High volume return preparer criminal cases, however, present a problem. The Government does not have the resources to audit all or even most or even, probably, very many of the returns that the Government knows or believes was the object of the return preparer's crime(s). What to do? In statistics, quality assurance, and survey methodology, sampling is concerned with the selection of a subset of individuals from within a statistical population to estimate characteristics of the whole population. Each observation measures one or more properties (such as weight, location, color) of observable bodies distinguished as independent objects or individuals. In survey sampling, weights can be applied to the data to adjust for the sample design, particularly stratified sampling. Results from probability theory and statistical theory are employed to guide the practice. In business and medical research, sampling is widely used for gathering information about a population. The Government calculated its estimate of the tax loss amount in the following manner. According to IRS case agent testimony, Johnson's company filed 13,429 returns during the years 2006 to 2013. Of those, 6,727 returns contained Schedule C losses that generated a total claimed refund amount of approximately $37.5 million. The IRS case agent then researched tax returns filed in the Dallas/Fort Worth ("DFW") area during the 2006-2013 time frame and determined that 7.1% contained Schedule C losses. This 7.1% was then applied to $37 million to yield $2.6 million; the case agent concluded that $2.6 million (i.e., 7.1%) of the total claimed refund amount was not fraudulent because this amount was on par with the other returns filed in the DFW area. Next, the case agent employed the extrapolation method n1 of estimating tax loss by selecting a sample of tax returns prepared during the 2006 to 2013 tax seasons to analyze the percentage of the claimed refund amount that was deemed to be fraudulent in this group. The sample was defined as follows. Throughout the investigation, 58 Revenue Agent Reports ("RARs") were prepared. Of those, 41 investigated returns reflected Schedule C losses; this amount included not only returns that were part of the indictment as counts of conviction, but also returns from the RARs that did not factor into the counts of conviction. The case agent calculated the total criminal tax loss of the 41 returns to be approximately $235,000. This amount constituted 72.2% of the total refund amount claimed, which was approximately $325,000. n1 Extrapolation is often used in tax audit situations when the number of tax returns under review is too large for a practicable and effective analysis. Black's Law Dictionary defines "extrapolation" as "[t]he process of estimating an unknown value or quantity on the basis of the known range of variables." Extrapolation, BLACK'S LAW DICTIONARY (9th ed. 2009) . For a description of the use of extrapolation to calculate fraudulent tax loss, see United States v. Mehta, 594 F.3d 277, 283 (4th Cir. 2010). Recall the $2.6 million figure which equaled to 7.1% of the total refund amount of $37.5 million claimed from returns with Schedule C losses. The case agent subtracted $2.6 million from $37.5 million to find a difference of $34.9 million. This amount was determined to be the total amount of refunds claimed on Schedule C losses less the DFW area credit. The case agent then applied the 72.2% falsity rate to $34.9 million to reach an estimated total loss amount-resulting from fraudulent Schedule Cs-to be $25,201,861. Johnson and Everson objected to the Presentence Investigation Report ("PSR") recommending the aforementioned calculation of losses and raise the same objection on appeal. They contend that the sample used to extrapolate the amount of tax loss was too small and not representative of the total corpus of tax returns prepared. The use of this sample, according to Johnson and Everson, resulted in an inflated percentage of fraud. The Government counters that the IRS case agent's method of calculation was similar to that utilized previously in United States v. Simmons, 420 F. App'x 414 (5th Cir. 2011). In Simmons, an unpublished decision, the IRS examined a sample of 41 tax returns to estimate the tax loss-a number that is identical to the number of returns composing the extrapolated sample in the instant case. Although the sample in Simmons was "not . . . completely random," no evidence in the record "indicate[d] [whether] those returns would have a higher falsity rate than any other returns prepared by Simmons." Id. at 418. Johnson and Everson argue that the instant case is distinguishable from Simmons. Here, the 41 tax returns were chosen from the prepared RARs. The defendants claim that, as such, they had already been audited and were therefore less random than the selection at issue in Simmons. The defendants point out too that nearly half of the returns were bases for the counts of conviction. In addition, Johnson and Everson introduced evidence before the district court indicating that their investigators had located 82 customers whose returns were not included in the sample; none of these clients expressed any problems with their tax returns. These factors, according to Johnson and Everson, contributed to an inflated falsity rate. The defendants also point to other circuits' decisions to support their argument, namely the Fourth Circuit's opinion in United States v. Mehta, 594 F.3d 277, 283 (4th Cir. 2010). The court held in Mehta that the use of only audit-flagged returns to calculate total tax loss was an error on the part of the district court, but that the error was harmless under the harmless error standard of review. Johnson and Everson argue that Mehta's persuasive authority with respect to the improper use of audit-flagged returns supports a reversal of the instant tax loss calculation. We view Johnson and Everson's arguments as reasonable and relevant, but we do not find them sufficient to warrant a reversal of the district court's adoption of the tax loss calculation. Although the defendants point to errors in the Government's calculation, they do not offer evidence or alternative calculations to contradict or rebut a finding that the alleged tax loss was anything but a "reasonable estimate based on the available facts." Further, we have affirmed tax loss calculations based on less reliable information than that present in the instant case. See, e.g., United States v. Montgomery, 747 F.3d 303, 311-12 (5th Cir. 2014) (upholding IRS case agent's calculation of tax loss notwithstanding agent's failure to account for defendants' unclaimed business expenses). Thus, even if the sample might have been more randomly selected to generate a more specific portrayal of the tax fraud at issue, the district court did not commit clear error in adopting the case agent's calculations. DOJ Tax issued the following press release: "Emeritus Professor Pleads Guilty to Conspiring to Defraud the United States and to Submitting False Expatriation Statement; Hid Account Containing $200 Million Also Paying $100 Million Civil FBAR Penalty" (11/4/16), here. According to documents filed with the court and statements made during the plea hearing, Dan Horsky, 71, is a citizen of the United States, the United Kingdom and Israel and was employed for more than 30 years as a professor of business administration at a university located in New York. Beginning in approximately 1995, Horsky began investing in numerous start-up businesses through financial accounts at various offshore banks, including one bank in Zurich, Switzerland. Horsky created “Horsky Holdings,” a nominee entity, to hold some of the investments and he used the Horsky Holdings account, and later, other accounts at the Zurich-based bank, to conceal his financial transactions and financial accounts from the IRS and the U.S. Treasury Department. Horsky made investments in Company A through the Horsky Holdings account using his own money, money provided by his father and sister, and margin loans from the Zurich-based bank. Eventually, Horsky amassed a four percent interest in Company A’s stock. In 2008, Company A was purchased by Company B for $1.8 billion in an all cash transaction. Horsky received approximately $80 million in net proceeds from the sale of Company A’s stock, but disclosed to the IRS only approximately $7 million of his gain from that sale and paid taxes on just that fraction of his share of the proceeds. In 2008, and in subsequent years, Horsky invested in Company B’s stock using funds from his accounts at the Zurich-based bank and by 2013, his investments in Company B, combined with other unreported offshore assets, reached approximately $200 million. Horsky directed the activities in his Horsky Holdings and other accounts maintained at the Zurich-based bank, despite the fact that it was readily apparent, in communications with employees of the bank, that Horsky was a resident of the United States. Bank representatives routinely sent emails to Horsky recognizing that he was residing in the United States. Beginning in at least 2011, Horsky caused another individual to have signature authority over his Zurich-based bank accounts, and this individual assumed the responsibility of providing instructions as to the management of the accounts at Horsky’s direction. This arrangement was intended to conceal Horsky’s interest in and control over these accounts from the IRS. Horsky also willfully filed false 2008 through 2014 individual income tax returns which failed to disclose his income from, and beneficial interest in and control over, his Zurich-based bank accounts. Horsky agreed that for purposes of sentencing, his criminal conduct resulted in a tax loss of at least $10 million. In addition, Horsky failed to file Reports of Foreign Bank and Financial Accounts (FBARs) up and through 2011, and also filed false FBARs for 2012 and 2013. Statement of Facts ("SOF"), here.